Under the investment quotas scheme as per November current the Russian yards have laid 33 fishing vessels and some seven or eight boats more will be laid in the near future against orders of fishing companies, according to head of the Federal Agency for Fisheries Ilya Shestakov as quoted by Korabel. Some 60-70 new fishing vessels should be built to renew the nation’s fleet in addition to those 40 vessels to be constructed under the investment quota program, Shestakov said on the keel laying ceremony of Kapitan Sokolov factory trawler, one of the above mentioned forty vessels. The year 2018 has seen the first projects on domestic shipbuilding being approved under the government program. Actually, most of 60 bids for investment quotas in exchange for obligation of newbuildings at domestic yards have been approved. Such vessels will be built mostly at the shipyards located in Leningrad Oblast surrounding Saint Peterburg. They are Pella, Northern Shipyard, Admiralty Shipyard and Vyborg Shipyard. So far it is not known whether the government will subsidize the newbuildings to follow after those under the investment quota. The respective decision will depend on the operational results of the first vessels constructed under the investment quota program. 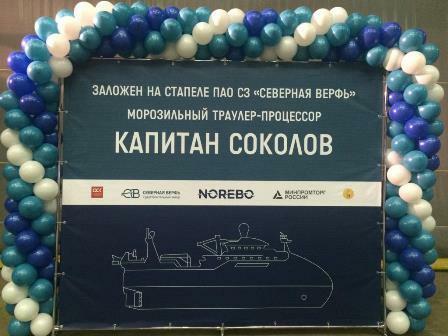 Kapitan Sokolov will become the first ship in the series of six factory trawlers to be built under the design No.170701 by the Northern Shipyard against the order of Rybprominvest belonging to Russia’s major fishery combine Norebo. Investments into construction of this series will total 21 billion rubles (ca 320 million USD). Localization of the first-in-class trawler Kapitan Sokolov is expected to reach no less than 30% with some USD 200 million worth of orders to go to suppliers from other countries. 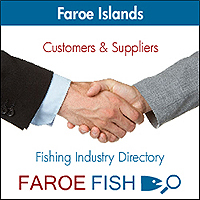 According to the Center for import substitution and localization of onboard equipment (part of Kurs Central Research Institute), at this stage only the trawler’s metal, steel, electric materials (cables, transformers, etc. ), insulating materials, varnishes and paints will be sourced inside Russia. In the future the government will see to it that localization share be gradually increased. According to the construction schedule Kapitan Sokolov is to be completed by September 2020. The main characteristics of the project No.170701, designed by Wartsila Russia, are as follows: length - 81.6 meters, width - 16 meters, speed - 15 knots, displacement – 5,500 metric tons, main engine power - 6.2 MW, total capacity - 150 metric tons of fish per day, freezing capacity - 100 tons per day, the crew - 70 people.